We provide two property search tools for your use. 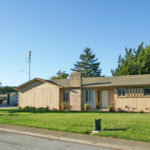 The first is through Bay Area Real Estate Information Services, or BAREIS, which is our local Multiple Listing Service. Here you can enter search parameters for property type, price, area, and other amenities of interest for real estate offerings in the greater North Bay Area. The second search tool will allow exploration of real estate listings nationally and internationally. Once you narrow down search criteria, contact us and we can set you up on a Home Alert notification service to inform you of new listings which match your needs. You’ll get the most up-to-date information as quickly as it appears in our MLS system.